Don Hedrick crafted this Randall #2 Replica mini. 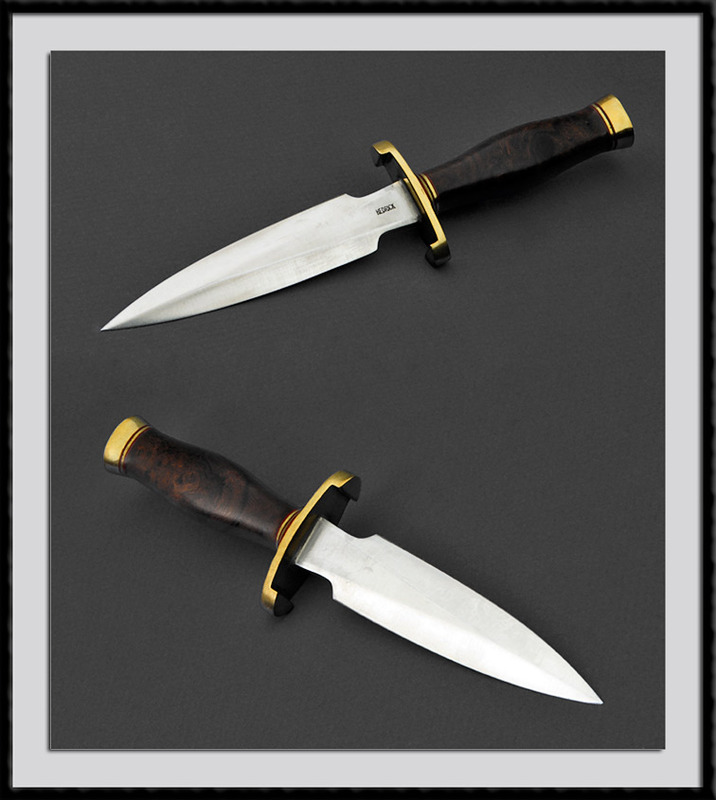 440C Blade Steel, BL = 4 1/8", OAL = 7 1/4", Brass fittings, and a Desert Ironwood handle. Condition is Mint. Made 07/2008.